AltusHost founders and our team members have more than 10 years experience in web hosting industry. And to be quite honest here, people behind AltusHost are it’s main strength. We are perpetually investing in our people, and especially – in finding professionals with fresh and out of the box way of thinking. Needless to say, main goal of our company is not just selling our services – our main goal is providing our customers the best service they and their business deserve. So, top priority of our award-winning support and sales staff are the needs of AltusHost clients – always. That means getting the job done correctly and on time, providing around the clock 24 hours a day, 365 days a year support. AltusHost is using full proactive monitoring of all equipment and websites, being able to catch problems fastly and effectively before our clients are even aware of them. Price/Quality of our service ratio is more than satisfactory to our clients, because we offer top notch quality dedicated servers with competitive market price. So, we don’t even try to compete with other “budget” providers with whom clients experience unstable network, unsecure infrastructure and out of reach and uneducated tech support, because at the end, they come to us, trying to save their businesses. 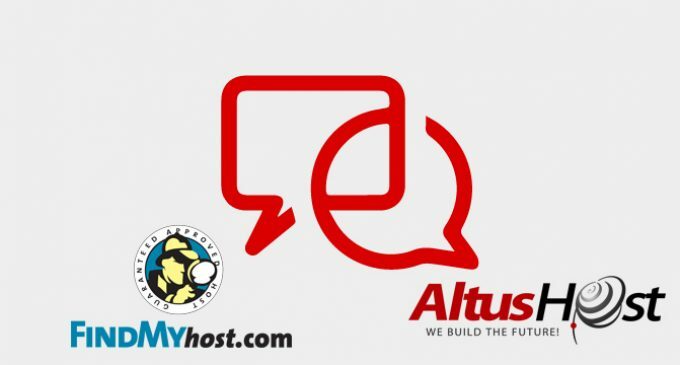 Summary: AltusHost has been providing quality Web Hosting services worldwide since 2008. During the years, AltusHost has succeeded in maintaining the top notch, globally recognizable managed Web Hosting service for thousands of active clients, resulting in their highest satisfaction. Focusing mainly on uptime and client satisfaction, with the fastest servers on the market and an equally fast support team, AltusHost's performance is second to none. A unique aspect of AltusHost is high level of sales and tech support guaranteed with all Web Hosting plans they offer. Diversified, well-trained and motivated talent pool work cohesively to deliver solutions around the clock, 24/7 -- to provide recognized global results to AltusHost's clients. The technical support team sets AltusHost apart from other hosting companies and makes them preferred choice of individuals and businesses. The goal of AltusHost is to provide renowned managed web hosting services at the lowest possible rate and the highest customer satisfaction. AltusHost have a wide number of solutions, both for personal use, all the way to large scale enterprise users. From scalable shared accounts to large server clusters, you will find that reasonably priced hosting plans, which will meet your rock solid hosting expectations.